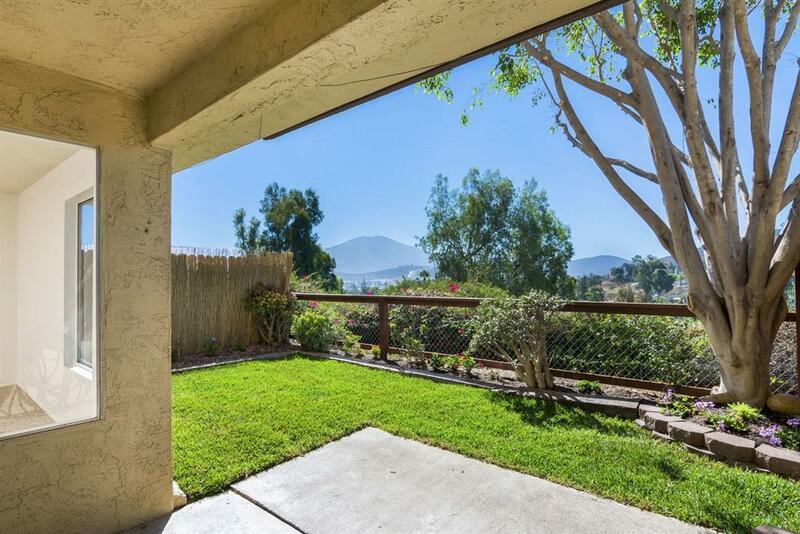 Enjoy mountain views and cool breezes from this affordable Rancho San Diego home! Offers air conditioning, 2-car garage, large living/dining area, cute yard with fresh sod, granite kitchen, and brand new paint. Has one common wall with neighbor. For low $140 HOA fees you can get two sparkling pools, tennis, basketball court, clubhouse, and a private park!